Just what does the stress of 30+ years of caregiving do? As a caregiver for more than 30 years through an ongoing medical nightmare, I can confidently state that I'm familiar with stress. But what does that relentless stress do the human body? We've discussed Gracie's dramatic recovery using natural products, but what about mine. 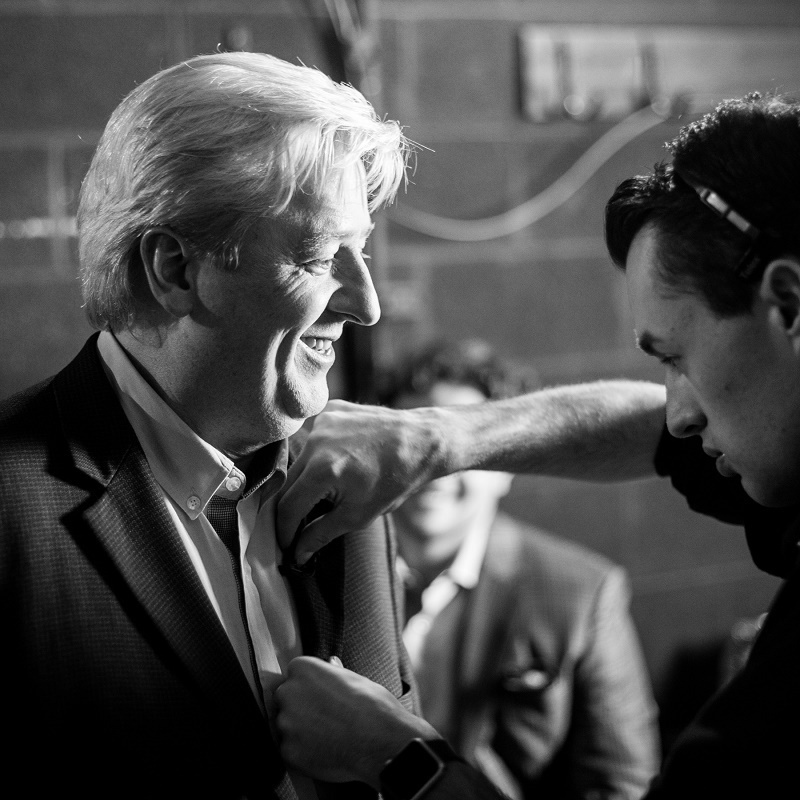 Today, Mark Harris joined me to talk about MY health. Mark is part of a group that has worked with Gracie and me for two years. Using myself as a guinea pig, I wanted to see if the products they recommended really work. Gracie and I have both witness ( and continue to see) significant results for both of us. No miracle drugs, no overnight fix, but a steady increase of healthiness that continues through our brutal journey. Gracie and I just share what we're seeing in our lives. We live with EXTREME challenges, and we need help healing what decades have caused for both of us. How about you? How are you feeling? How many medications are you taking? What did your last physical reveal? Healthy Caregivers MAKE BETTER CAREGIVERS! Visit ahealthierlifeforyou.com and see what you think about a more strategic approach to YOU becoming healthier! Joni Eareckson Tada and Gracie Rosenberger bring a powerful performance of the this classic Gaither song, Because He Lives. 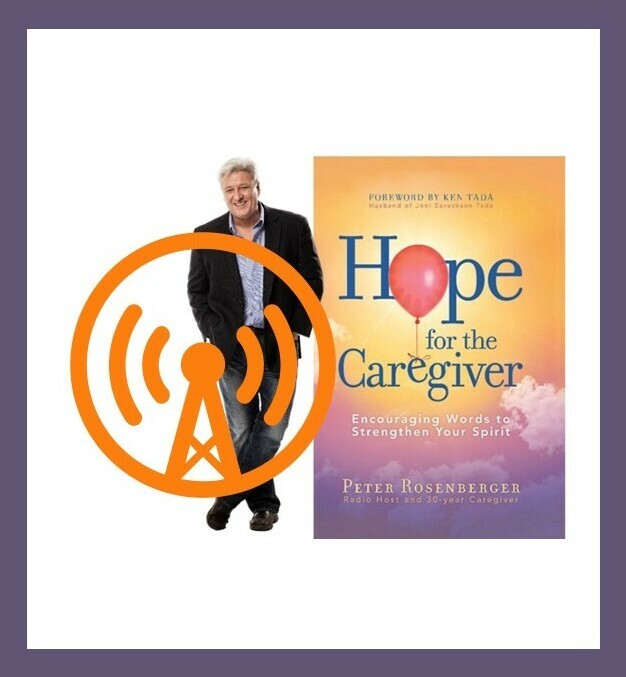 Caller from Oklahoma shares his journey as a caregiver and how he's learned to humbly approach those who suffer. "I understand when NOT to cite Romans 8:28"
As powerful, true, and meaningful as this verse is, knowing WHEN to speak it to people in trauma is a sign of wisdom and humility as we recognize the magnitude of others' pain. 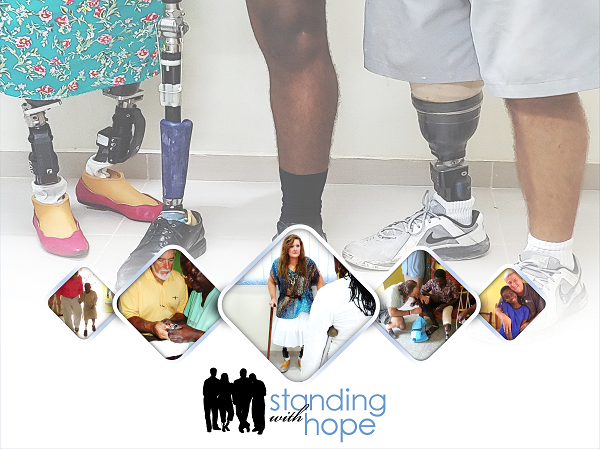 Many know of our prosthetic limb recycling program through Standing With Hope. We partner with Core Civic as one of their faith-based programs for inmates. They help us disassemble donated used prosthetic limbs ...and we purchase additional materials, pack it all up, and send it all to Ghana. Here's something both humorous and alarming that happened to me this week when assembling supplies. 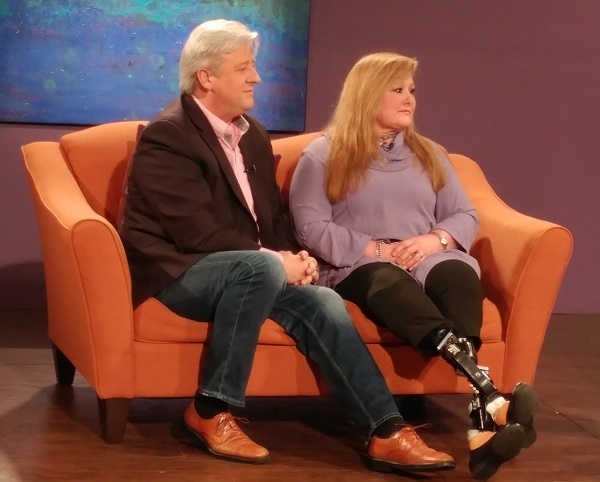 The prosthetic limb program of Standing With Hope draws from the journey of founder, Gracie Rosenberger, who lost both of her own legs. Gracie experienced a horrific car accident 35 years ago as a freshman at Nashville’s Belmont University. Eighty operations later (including the amputation of both legs), Gracie’s passion to help her fellow amputees through ministry and mobility—continues to be the driving cause behind our work. Recruiting prosthetists from around the country, Standing With Hope teaches and equips local workers within Ghana’s Ministry of Health to build and maintain prosthetic limbs for their own people (as well as from neighboring countries). For roughly the price of television, lives are changed—one leg at a time. If the patient cannot afford the co-pay for the limb charged by the clinic, then Standing With Hope will sponsor that limb. In a unique partnership with Tennessee-based Core Civic, inmates at a Nashville prison volunteer to disassemble used prosthetic limbs we collect from around the country to reuse the feet, pylons, knees, connectors, and adapters. Today is a great day to help someone walk! Sponsor a limb, sponsor supplies …there are so many ways that YOU can give the gift that keeps on walking! According to every study I’ve seen, the aging and mortality rate is still locked in at 100%. Yet, with all that certainty …we caregivers often shy away from the conversation about death and what to do about the funeral. In light of that, we reached out to the National Funeral Directors Association for some help in starting the conversation. Randy Anderson from the NFDA joined our show to discuss this challenging topic. 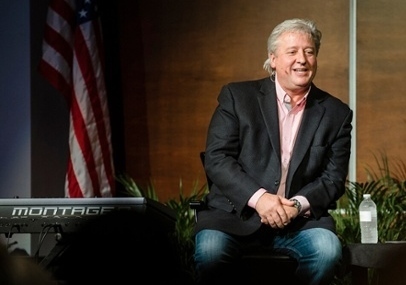 Bringing compassion and an easy-going conversation style, sitting down with Randy is like having a cup of coffee with a friend. Also, before having the conversation, visit this site for a Rememberingalife.com for an easy checklist and planning guide. Also, for information on Randy Anderson's funeral homes in Alexandria City, AL please visit their websites. Even if your family is not in his area, check out their great sites to see what to look for in YOUR area. It's difficult to bear one another's burdens if we don't know them or see them. Today's show includes three core issues to watch for family caregivers. Plus great callers including Tammy from Tennessee discussing her journey as a caregiver for her 25-year-old daughter with autism. Morning Pointe Senior Living and Memory Care Centers have a wonderful program that allows Caregivers to take a much needed break without a long term commitment. Maybe it's to go out of town for a special event like a wedding or graduation, but your loved one needs a safe place to stay. Special physical needs? No Problem! Lori Domer, Community Relations Director for Morning Pointe Senior Living and Memory Care Communities, called the show to discuss this great service. Visit MorningPointe.com to set up an appointment with a nurse for FREE consult that takes minutes but save you more than you can imagine. Then, for those events requiring you to be in two places at the same time ...you have a trusted friend in Morning Pointe. If you just a need a break for a couple of days each month, or even a week, your loved one is safe and well cared for at Morning Pointe. Call LORI DOMER 615 482 8643 today! All too many caregivers live in the wreckage of our future ...and we work ourselves into all sorts of heartache over things that haven't even happened. Such is the case with this caller, Lisa. Like so many of us, Lisa tortured herself with looking down the road and visualize what lies ahead for her as she cares for her husband. She called crying ...but listen to the transformation. We had to go to a break, but when we returned, the conversation moved her away from despair ...and she even chuckled a bit. "He comforts us in all our troubles so that we can comfort others. When they are troubled, we will be able to give them the same comfort God has given us."